In the past several years, companies and top executives have been held legally responsible for their workers health and safety. Chief executives of companies have been convicted, fined and even given prison sentences due to preventable accidents or exposing their workers to hazardous conditions through negligence. Most companies realize their responsibility to ensure the safety of their workers and anyone affected by what they produce, or how they produce it. In a perfect world, every worker would return home from work healthy and safe every day. Unfortunately, we do not live in a perfect world. Accidents happen, people are injured, become ill, or even sometimes die due to inadequate health and safety systems. According to U.S. Department of Labor statistics, there were roughly 2.9 million nonfatal workplace injuries and illnesses reported in the United States in 2016, which is 2.9 percent, or equivalent to approximately 3 out of every 100, full time workers. Statistics also indicate that worldwide there were approximately 313 million accidents and 2.3 million work related deaths during this same period. As a responsible society, we must seek out ways to reduce these numbers. In the United States, we have OSHA regulations regarding occupational health and safety. In addition, there is the British OHSAS 18001 standard adopted by multiple organizations. However, neither is a truly international standard. In March of 2018, ISO (the International Organization for Standardization) released the ISO 45001 standard for occupational health and safety management systems. The International Organization for Standardization has speculated that their new ISO 45001 will replace OHSAS 18001 as the definitive occupational health and safety standard within the next few years. Company leaders are required to consult with non-managerial workers or their representatives. Leaders need to demonstrate that they are actively involved in the integration of the OH&S system. The ISO 45001 standard is more process-based rather than procedure-based. It incorporates the identification of risk and opportunities for improvement and includes participation and feedback from all interested parties. ISO 45001 allows for occupational health and safety to be easily integrated with other management systems throughout the organization, eventually becoming part of the company’s identity. Prevention is emphasized rather than reaction. Prevention must become a fundamental requirement of the OH&S management system. When incidents do occur, compliant organizations should determine why the incident occurred and act to assure it does not re-occur. The management system should drive and encourage a continual improvement cycle and culture within the organization. The new ISO 45001 Occupational Health and Safety standard provides organizations with a single, clear, focused approach to improving their OH&S performance. The standard enables organizations to provide a safer and healthier workplace for employees and visitors. Organizations must strive to identify and mitigate risk factors that could negatively affect not only safety, but includes all aspects of a person’s physical and mental health and well-being. ISO 45001 is a comprehensive standard that appears to cover all the bases for development of an effective Occupational Health and Safety Management System. ISO 45001 is a new and distinct standard, not a revision or update. The ISO 45001 Occupational Health and Safety standard is the first genuinely international OH&S standard. It is one of the most highly anticipated standards in the world, and is poised to significantly improve levels of workplace safety. Implementation of the standard will require dedication and support from organizational leadership. Whether you are a business owner, manager, or worker you likely share a common goal: you want everyone to return home safe and healthy at the end of the day. The successful implementation of an effective OH&S management system using ISO 45001 methods can gain an organization the recognition and reputation of being a safe place to work. In addition, the implementation of a robust OH&S management system should result in a reduced number of incidents, employee absenteeism, employee turnover, reduced downtime and reductions in insurance premiums. There are over 100,000 organizations certified under the current OHSAS 18001 British occupational health and safety management standard. When their certifications expire, they will be re-certifying under the new ISO 45001 standard. Organizations currently struggling with health and safety issues or ones desiring to reduce the expenses and possible litigation resulting from workplace injuries would benefit from implementing ISO 45001. Obviously, the simple act of implementing a standard will not improve workplace conditions. The dedication of leadership, worker involvement and the robustness of the OH&S management system play a much larger role in improving occupational health and safety. In today’s world marketplace, organizations are becoming more aware of and concerned with whom they conduct business. In many situations, the parent corporation must certify companies in order to become a supplier of materials, components or assemblies. Part of the certification often includes a review of the facility, product quality, process capability and working conditions. Now is the time to consider how ISO 45001 can benefit your organization. Implementation of ISO 45001 and subsequent certification is going to require time, resources, commitment and full support of the management team. There are 10 main sections of the standard. The first 3 cover the scope of the document, normative references (of which there are none) and terms and definitions that are applicable to the standard. The remaining seven sections concentrate on the contents and requirements for an OH&S management system to comply with the new standard. As stated previously, the management system approach detailed within the standard is based upon PDCA (Plan Do, Check, Act) methodology that has been used to successfully improve manufacturing processes for decades. At the core of the ISO 45001 OH&S standard is the requirement for top management to be accountable for worker health and safety and committed to the success of the OH&S system combined with worker participation at all levels of the organization. The plan must include not only the identification of risks and opportunities, but also a process to address them with clearly defined objectives. Top management must provide adequate resources for the development, implementation and support of the OH&S management system. Additionally, the system must include processes for monitoring and evaluating performance including internal auditing and management reviews. Furthermore, the organization must establish processes to report, investigate and act to address incidents, and prevent their recurrence and promote continual improvement of the OH&S management system. The following paragraphs will give a brief description of the seven sections that make up the body of the ISO 45001 standard. The organization must also understand and consider the needs and expectations of the workers and others affected by their activities. Organization should also consider which of the worker’s needs or expectations may be or become regulatory requirements. In addition, the organization must determine the scope or boundaries of the management system while considering the context of the business, worker’s needs, and the products, services and other activities that could affect the effectiveness of the OH&S management system. The ISO 45001 standard directs the leadership of an organization to take overall responsibility and accountability for worker’s health and safety. Roles and responsibilities are to be assigned, communicated and documented at all levels of the organization. In addition, the leadership of the organization is required to assign responsibility and authority for ensuring that the OH&S management system conforms to ISO 45001 requirements and reporting the performance of the OH&S system to management. Consultation and participation of workers at all applicable levels is also the responsibility of the organization’s leadership. The standard advocates that organization leaders, workers and workers representatives when applicable shall work together in the development and continuous improvement of the OH&S system. The cross-functional approach is encouraged, as the standard requires that the organization establish processes for consulting workers and getting them actively involved in the process. Through incorporation of cross-functional teams, multiple viewpoints and experiences are shared, allowing for increased identification of risks and opportunities. There are particular items that top management in the organization must consider when planning for the development and implementation of an OH&S management system in order to comply with ISO 45001. These include the previously mentioned context of the organization, the interested parties, and the scope of the management system. Planning must also include the development of processes to ensure the OH&S management system is capable of achieving its objectives. Furthermore, management must implement plans to prevent or reduce undesirable effects due to the implementation of the OH&S system, and bring about continual improvement of the health and safety of the workers at all levels of the organization. Furthermore, the hazard identification process must include consideration of workers health and safety while at a location not directly controlled by the organization, such as a supplier or customer’s facility. In addition to identifying hazards, the organization must implement and maintain processes for risk assessment and identification of opportunities for improvement. The organization must assess risks from any identified hazards and identify opportunities to eliminate or reduce risk. This includes risks and opportunities related to the workers’ health and safety and to the success of the OH&S management system. Risk = Severity (How Bad Is It) X Occurrence (How Often or How Likely the Hazard is to Occur). In addition, the organization must assure that they have a thorough understanding of any legal or regulatory requirements that may apply to their organization or to the OH&S management system. Plans for addressing legal requirements and addressing risks and opportunities are to be implemented during the development of the OH&S management system. All OH&S management system plans and objectives along with any measurable data or results shall be documented and retained by the organization. The success of any new initiative or management system is dependent upon the amount and quality of the support it receives within the organization. The new standard requires that the organization identify and provide adequate resources for establishing, implementing, maintaining and continually improving the OH&S management system. Resources could include adequate personnel, equipment and proper infrastructure to support the OH&S initiatives. The competence of the workers in the performance of their duties and their capability of identifying hazards should be reviewed and documented. The documentation may be in the form of appropriate education, experience or formal training. In addition, the workers shall be made aware of their right to remove themselves from any work situation that may present imminent and serious danger to their health. They must also be provided information concerning any arrangements or policies established for protecting them from any retribution for reporting or removing themselves from a hazardous situation. The organization’s diversity should be considered when developing the communication plan. Including but not limited to language, culture, disability, etc. In addition, the organization should consider any relevant legal requirements and ensure that all information communicated is reliable and consistent with the OH&S management system policies and procedures. The new standard requires that the OH&S system and all information required by the standard be documented and controlled. Documents should follow an internally agreed upon standard format. Changes or updates to documents should be identified, traceable and reviewed by the appropriate stakeholders for suitability and adequacy. Documentation relevant to the standard shall be controlled to ensure it is available for use where and when required, and the content protected to prevent loss of confidentiality or miss-use. The process for controlling the documents shall address the proper access, distribution, revision control, storage, retention and eventual disposition of the documents. The best course of action is always to eliminate the hazard if possible. Unfortunately, eliminating the hazard is not possible in all situations. Therefore, alternative measures must be taken to reduce the risk to the worker or others that may be affected. The organization is required to review any possible consequences of intentional or unintended changes and take appropriate action to address any possible hazards or risk. In addition, the requirements of the new standard extend to cover procurement activities including possible hazardous materials, outside contractors and outsourcing of processes and functions. The organization must consider any impact that the contractor’s activities may have on the workers, the workplace environment and others in the workplace. Another interesting item found in the standard pertains to procurement functions. According to the standard, organizations must ensure that outsourced functions and processes are controlled, consistent with legal requirements and align with the intended outcome of the OH&S management system. Communication of relevant information to workers, visitors, emergency response services, etc. Furthermore, the organization must maintain and retain documented information regarding the processes and emergency response plans. Management should report any relevant information resulting from the reviews to workers and other interested parties. The organization shall also retain documented records of the results of the management reviews. According to the ISO 45001 definition, continual improvement indicates a duration that occurs over a period with intervals of interruption. This differs from continuous improvement that occurs without periods of interruption. This definition is contained within Annex A of the standard. The continual definition better fits the activities of the OH&S system whose purpose is to keep workers safe from injury or illness. The processes addressed are most likely in place prior to adopting ISO 45001 and the inherent PDCA methodology. As previously stated, organizations must actively seek out hazards and realize opportunities for improvement that will make possible achievement of the intended goals and objectives of the OH&S management system. Occupational Health and Safety improvements are realized through proactive identification of hazards, implementing effective corrective action and working towards building a continual improvement culture throughout the organization. Incidents: Near misses, injuries and ill-health, or damage to buildings or equipment, that could result in risk to the operator’s health and safety. Nonconformities: Workers not following specific processes or procedures, lack of or non-functioning PPE, violation of safety or regulatory requirements or outside contractors not working in a safe manner. Upon determining the root cause, the team must develop the appropriate corrective actions. In addition, the team should develop an action plan for implementation and tracking the progress and documenting the effectiveness of the corrective actions. The evaluation of the need for corrective action should be carried out with the active participation of workers and the involvement of other relevant interested parties. The team should re-assemble after a specified length of time, usually 30 or 60 days, to verify the effectiveness of the countermeasures. The team should find out if the initial problem reported has occurred since the countermeasures were put in place. In addition, they should ensure that any special process controls, tools or instructions are still being followed. Quality-One offers Occupational Health and Safety Management Systems Development through Consulting, Training and Project Support. 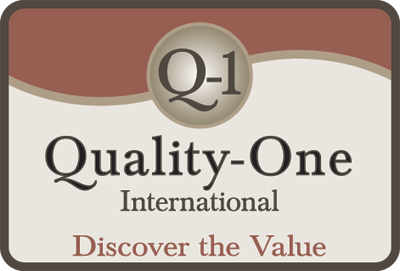 Quality-One provides Knowledge, Guidance and Direction in OH&S Management Systems development activities, tailored to your unique wants, needs and desires. Let us help you Discover the Value of ISO 45001 Consulting, ISO 45001 Training or ISO 45001 Project Support. Contact Us | Discover the Value!